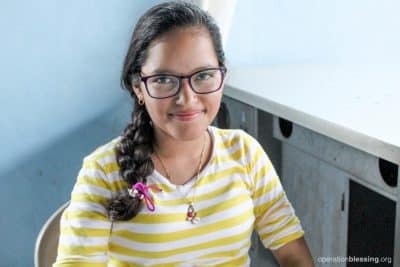 NICARAGUA – Twins are born with a unique relationship. They share the womb. They share a birthday. But Hellen and Angélica also shared fear of falling victim to human trafficking. Their mother, Aura, lived a difficult life. Poverty drew her to addiction, and eventually led to prostitution as a means of supporting herself. 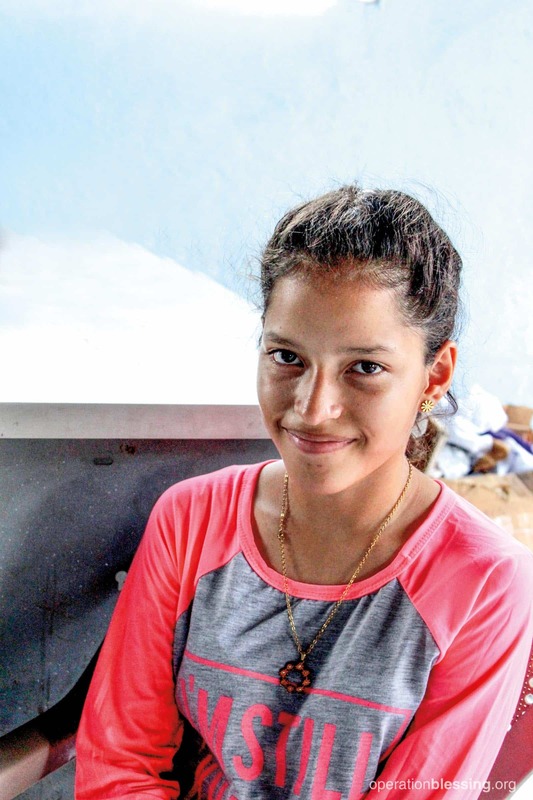 Her life was in shambles, but then she heard of Operation Blessing’s partner in Nicaragua, House of Hope. She started attending meetings, and slowly, she began to change. Instead of craving substances to satisfy her, she began to seek God. She was able to leave prostitution and pursue a better life for her children. The girls were only 3 years old at the time but already very vulnerable to human trafficking. Their mother could not afford to send them to school. Not only were they missing out on an education, but also the protection that a uniform offers. In Nicaragua, children who are not wearing uniforms have a higher chance of being targeted by traffickers. This is why OBI’s partner, House of Hope, is dedicated to helping mothers who cannot afford school fees. And that is exactly what they offered Hellen and Angélica. Ten years later, the twins are still attending school thanks to scholarships. They are thankful for the opportunity to learn and grow. And they are safe. “Our lives are different from other people, thanks to these scholarships, and our mother tells us that her life has changed in many ways,” Hellen said. “Without God, this wouldn’t be possible,” Angélica added. Both are at the top of their class, and are excited to pursue journalism and medicine, respectively, when they graduate. Thanks to Operation Blessing and House of Hope, they have a sense of security to protect them from predators and help them achieve their dreams.